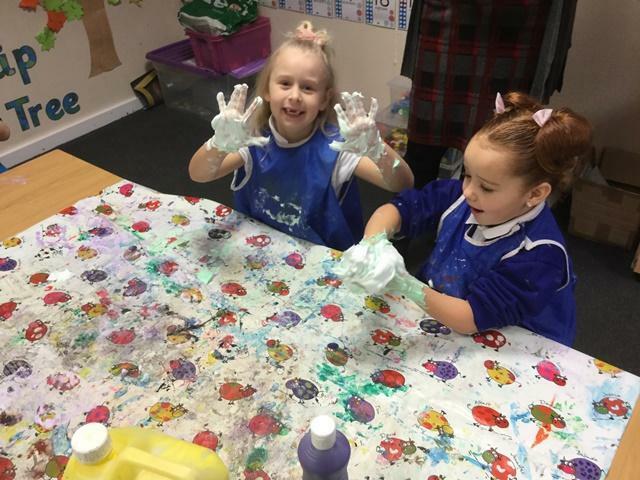 We got creative with self-portraits, learned about how much we've changed since we were babies and carried out science investigations linked to our senses. 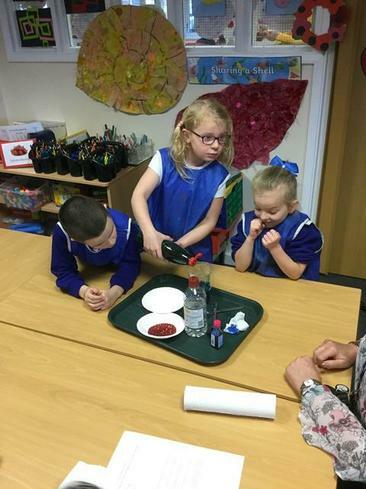 Everyone has settled in really well and working hard. 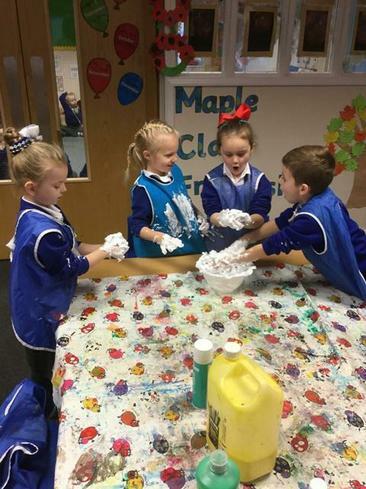 In the first half term our Christian Value was 'Friendship' and Maple has proved itself to be a very friendly class, always looking out for each other. 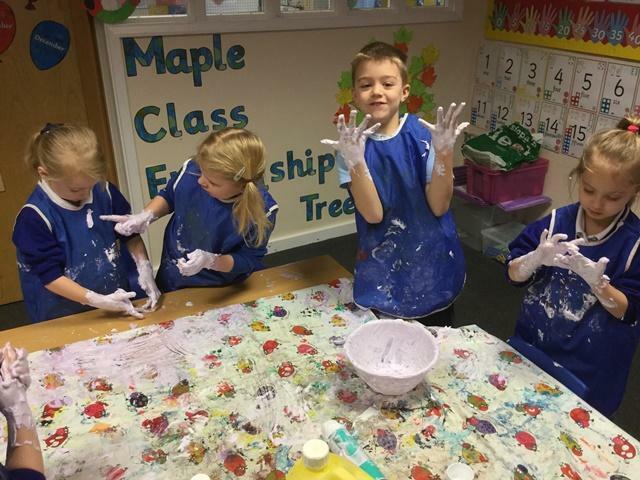 We have created our own Maple Class Charter to ensure we are all learning in a happy and safe environment where we help one another. 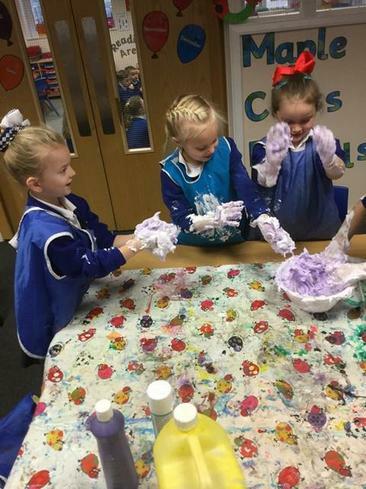 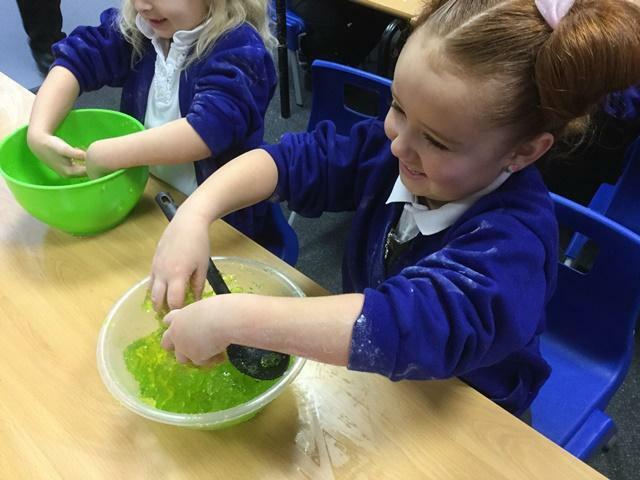 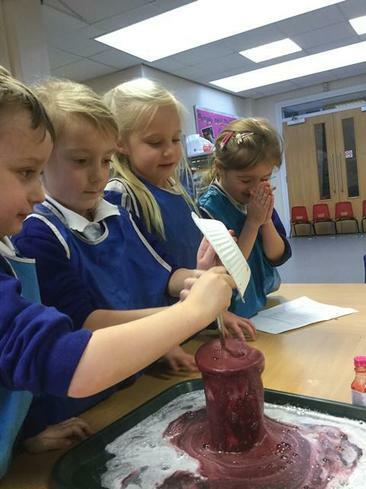 Our topic this half term is Muck, Mess and Mixtures and we are having such fun! 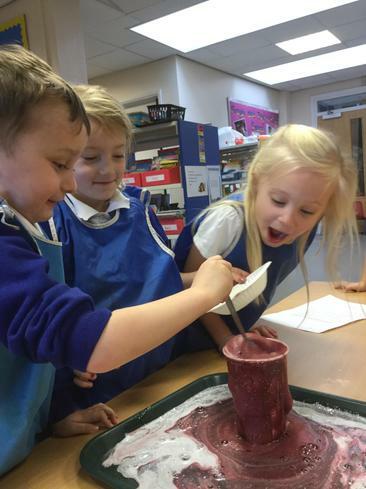 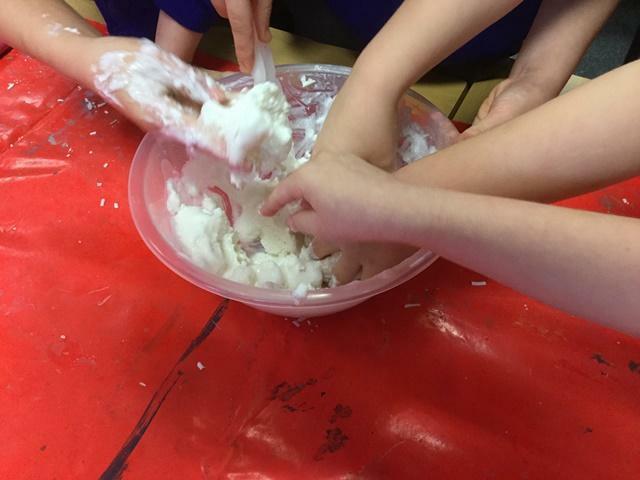 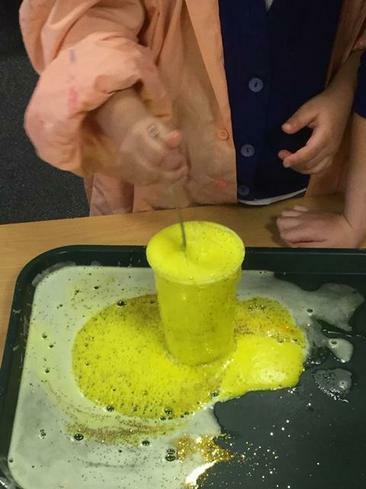 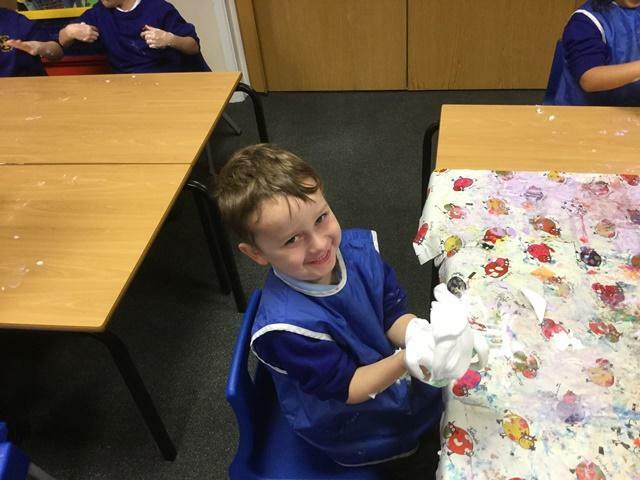 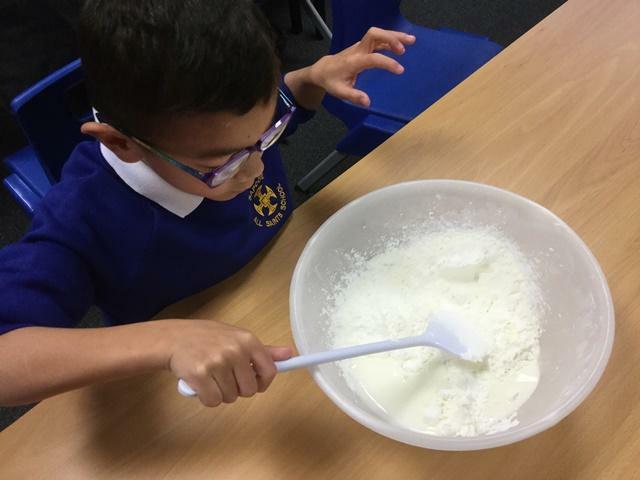 We have exploring all different sorts of materials and mixtures and getting very messy indeed. 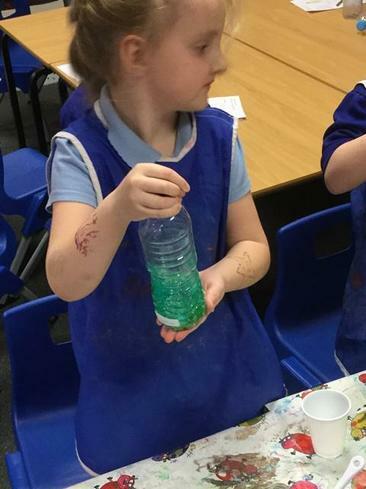 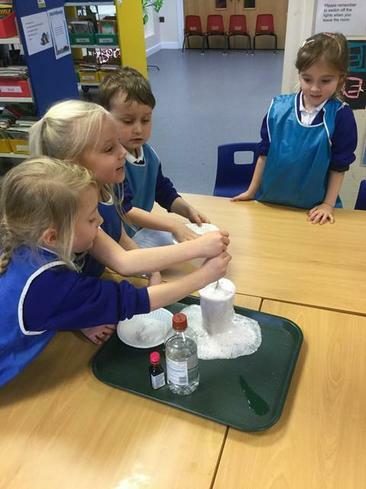 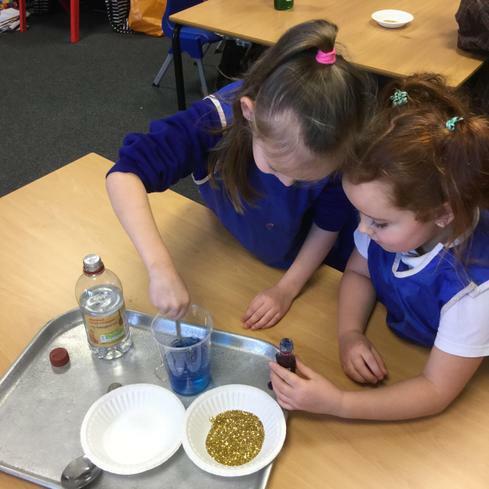 We have made our own potions and labelled them and even made a magical fizzing potion! 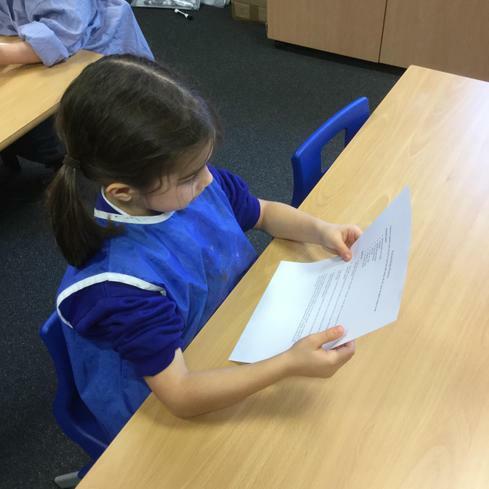 Now we are creating our own ice cream sundae recipes to try out at home!